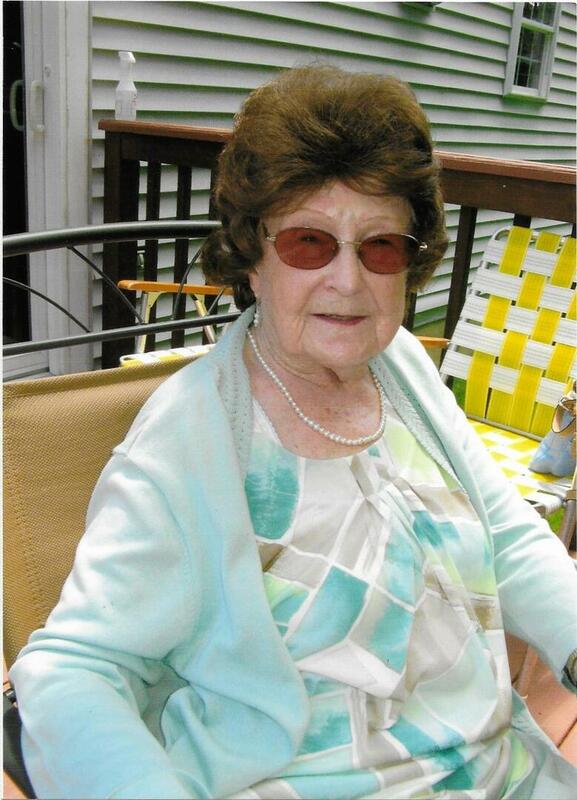 Provide comfort for the family of Edith Robinson with a meaningful gesture of sympathy. It is with sad hearts and loving memories that the family of Edith (Peggy) Lacey Robinson age 91, announces her passing on March 22, 2019. The world has lost a dear sweet woman. Peggy was born in Wilmington, DE to Ernest Martin Lacey and Florence Emma Maclary and was raised in the family farm in Marshallton. Peggy graduated from Conrad High School then earned a degree from Goldey Beacom College. She worked as a secretary at AAA Motor Club for 7 years until she married in 1952 to the late Raymond E. Robinson who she met by writing to a soldier during the Korean conflict. They began their life journey in Wilmington then Elsmere raising two daughters, Linda Marie Galloway and Sharon Kay Hobson. Once retired they moved to Captains Cove on the Chincoteague Bay enjoying boating, fishing, crabbing, golfing and gardening for 20 years. In 2010 they moved to Westminster Village in Dover. Sadly, Raymond passed in 2011. Peggy kept busy volunteering, helping to run the community gift shop and organizing the holiday cookie and soup fundraisers. Peggy enjoyed being with the ladies of the Red Hatters and regularly attended church services. She was known by friends and family for her good nature, wit and sense of humor. Peggy is predeceased by her parents and sister, Florence Elizabeth Lacey. Peggy was a wonderful mother and grandmother, she is survived by: daughters, Linda Galloway and Sharon Hobson; son-in-laws, Jay Galloway and Lee Hobson; granddaughters, Julie (Galloway) Kulovic, Janet (Galloway) Bandekow, Sarah (Hobson) Mantici, and their husbands, Ray Kulovic, Daniel Bandekow, and Steven Mantici; grandson, Matthew Hobson; siblings, Helen Downward, Ruth Jane Hopkins and Ernestine Lee Cox. Her life force will live on in all of us. How grateful we are to have had her so long with a life of fullness that leaves ours less full. To send flowers to the family of Edith M. "Peggy" Robinson, please visit our Heartfelt Sympathies Store. In lieu of flowers, memorial contributions in Peggy’s honor may be made to the Westminster Dover Benevolent Fund. We encourage you to share any memorable photos or stories about Edith. All tributes placed on and purchased through this memorial website will remain on in perpetuity for generations. Provide comfort for the family of Edith M. "Peggy" Robinson by sending flowers.